Top Tier Entertainment offers full scale event and wedding DJ services. We specialize in wedding ceremonies, wedding receptions, rehearsal dinners, engagement parties, corporate events, mardi gras balls, Christmas parties and sorority or fraternity formals. We serve Montgomery, AL and all of Central Alabama including Auburn, Birmingham, Tuscaloosa, Troy, Dothan and more! So whether your event is a small intimate ceremony and reception with your family and close friends, or a full blown party for every person you’ve ever met, we have a DJ solution for you. 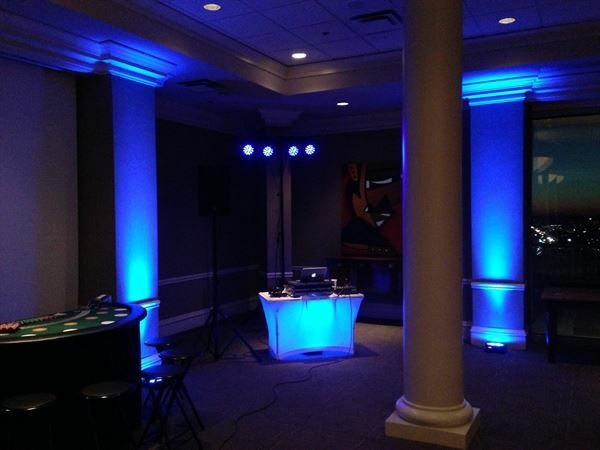 Our most popular package and includes a lighted DJ façade for a polished appearance, 20 song customizable playlist, music selection by genre/era, professional 3 speaker sound system including subwoofer, dance floor lighting, and master of ceremony services…perfect for wedding receptions, corporate events, parties or school dances.